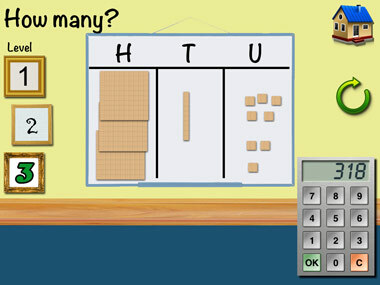 Little Monkey Apps Place Value compliments the use of hands on experiences for modelling numbers using MAB blocks. It is beneficial in instances when using real blocks is not practical. 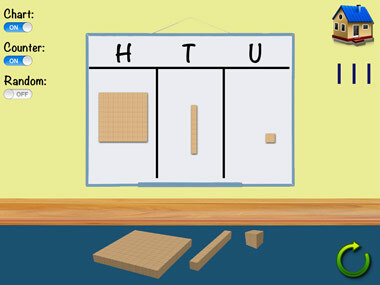 Little Monkey Apps Place Value is separated into a teaching module and three corresponding activities to aid children in building, modelling and reading numbers. There are three levels within each area to provide for a range of abilities. The app is designed to be used with an educator or tutor in individual or small group teaching situations followed by independent work by the student. 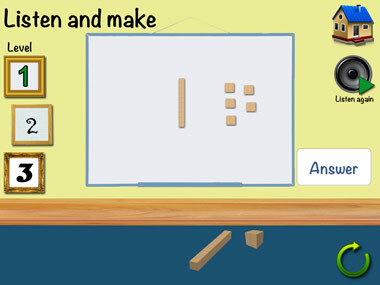 I counted twelve red cars, can you use the blocks to show twelve? Is there another way to show twelve? (twelve units or one long and one unit) Which one is correct? Can you swap ten of those units for a long? What is the number after that/before that/ten more than that. Do you need to count the ones out if I add ten more cars? Role the die and make the number e.g. roll a six, make the number, roll again, five, add five units = eleven, trade ten units for one long...keep playing until you reach twenty. How many turns did it take etc. Press the random number generator and choose flats, longs and units. E.g. 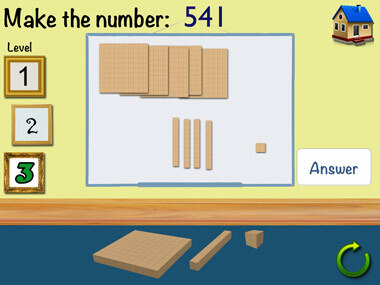 generate a three, choose three longs, press again, one, choose one unit, press again, five, choose five flats, read the number 531. Play with a partner, who can make the largest number/smallest number, number closest to a target number etc.